Kia currently sells a Korean-built battery-powered version of its Soul small crossover in Europe. Kia Europe's chief operating officer, Emilio Herrera, said the automaker is evaluating EV production in the region, without specifying which model could be built. Kia's only European factory in Zilina, Slovakia, builds the Ceed, Sportage and Venga gasoline and diesel models. Building an EV in Europe would minimize the risks of supply disruption, Herrera said. "We know our suppliers LG Chemical and SK Innovation are looking to possible battery production in Hungary, Czech Republic and Slovakia," he said. Herrera said he is not concerned about current low demand for electric vehicles because EV sales have "increased dramatically" in many EU markets, driven mainly by taxation. Herrera said Kia could sell more Soul EVs if there were no supply constraints with deliveries from the production plant in Korea. "Today our problem is not whether we can sell these cars, but how many will I get (from Korea)," he said. Kia sold more electric Souls in Europe last year than gasoline and diesel versions combined, Herrera said. 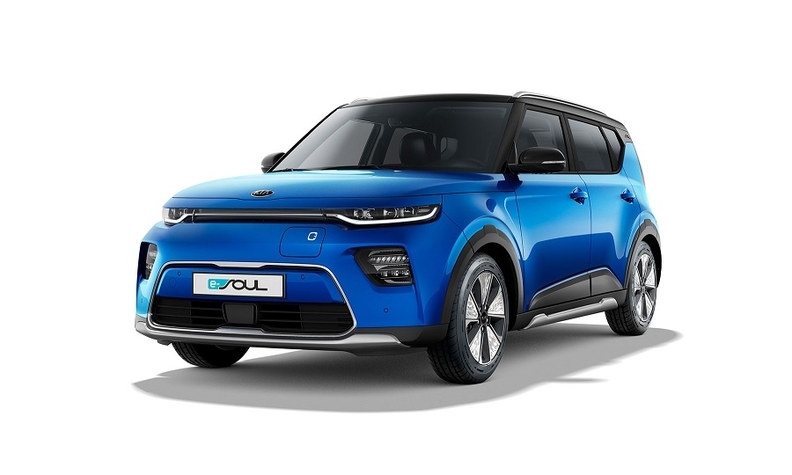 A new Soul EV is currently being rolled out in Europe where it will be sold only as an EV, starting at 33,990 euros in Germany. It has a driving range of up to 452 km (280 miles) with a 64 kWh battery pack or 277 km (172 miles) with a 39.2 kWh battery pack under the WLTP testing, Kia says. Kia hinted at a possible future full-electric car with the "Imagine by Kia" concept unveiled at the Geneva auto show in March. Kia's electrified range currently includes plug-in hybrid versions of the Niro crossover and the Optima sedan and wagon, all built in Korea. Kia is adding plug-in hybrid versions of its Ceed compact station wagon and its upcoming Ceed-based crossover. They will be built in Zilina, Herrera said. The Ceed five-door hatchback will get mild-hybrid powertrains on all gasoline and diesel versions. The Sportage SUV's 1.6-liter diesel version will also get mild-hybrid technology. The moves will help Kia to reduce CO2 emissions as Europe's lawmakers move to further cut greenhouse gas emissions from new cars sold in Europe. The EU has imposed an industrywide fleet CO2 average emissions target of 95 grams per km by 2021 with individual targets for auto groups and threats of fines for companies that miss their target. Kia likely will need to sell more full-electric and hybrid cars in Europe to reach its EU mandated target of 94 g/km in 2021, PA Consulting said in a report. Hyundai-Kia's average is likely to fall to 96.1 g/km in 2021 from 122 g/km today, PSA Consulting said. Herrera said Kia would have to sell 32,000 EVs annually by 2021 to reach its target and avoid paying an EU fine.